After the beheading of British citizen David Haines by the terror group ISIS the British government responded with very strongly worded statements. But now that another Brit has been beheaded, aide worker Alan Henning, it seems the government won’t respond with just words. The Brits already joined the air strikes against ISIS targets and if a report by IJReview is any indication, the British people aren’t cowering, either. 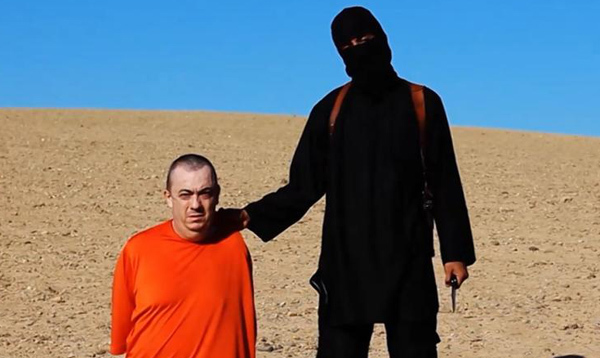 ISIS eleased a video today that allegedly shows the beheading of British aid worker Alan Henning. Henning was taken hostage in Syria nine months ago while driving in a convoy bringing ambulances and medical equipment to Syrians suffering in their three-year-old civil war. In spite of the threats of ISIS, the British launched air strikes on the group. The response was not a strongly worded statement, but instead was bombs. The group will continue to murder Americans and Brits as long as the U.S. and the U.K. and other countries continue to prosecute their war against ISIS. However, if the terrorists thought this beheading was going to deter Americans and the British people from supporting the destruction of ISIS, judging from Twitter, they miscalculated. Let’s hope this resolve doesn’t soften. These monsters have more westerners that they captured. Likely these people will be killed, as well.